Tim Dempsey and Jan Apel hand over the Kiwi Cup to new winner Brendan Tourelle! After nine windy races on the Waitemata, RAYC member Brendan Tourelle has for the second time won the NZ Access Liberty Class National Championships. He was a clear force to be reckoned with, after winning both races on the final day he had an eleven point lead on second place getter Tim Dempsey (RAYC). Brendan has also been awarded “The Kiwi Cup”, a trophy that is awarded biennially to the sailor/s with the lowest score across all classes at the regatta, with no discards. It was contested across both the Access Liberty and Access 303 and only sailors/crews with a disability were eligible to win the Kiwi Cup. The 2013 NZ Access Class National Championships were the first for the Access 303 dinghy which can be sailed in either a single or double configuration. Katy Kenah and Robbie Love of Napier will be the first to have their name on the 303 Double National Championship trophy, and Paulien Eitjes of Tauranga will be the first engraved on that of the 303 Single National Championship. For the Access 303, this was the biggest ever fleet sailed in New Zealand, with eleven boats on the start line (five sailed solo, six in the double). Both the Access Liberty and Access 303 are well established classes in New Zealand, with fleet sizes being boosted by the Kiwi Cup and Access Liberty World Championships sailed in 2009 in Auckland. 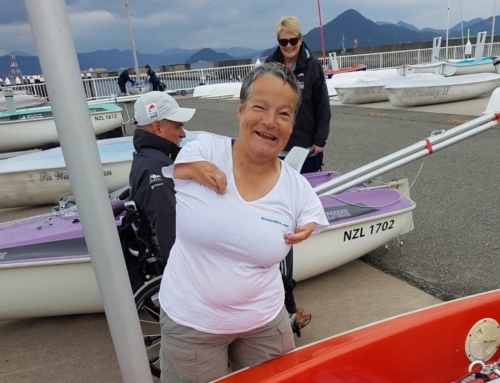 The boats are designed with inclusion in mind, to be sailed competitively by anybody regardless of ability or disability. Lately the national spread has been on the increase with sailors now on the water in these adaptive boats everywhere from Whangarei to Bluff. 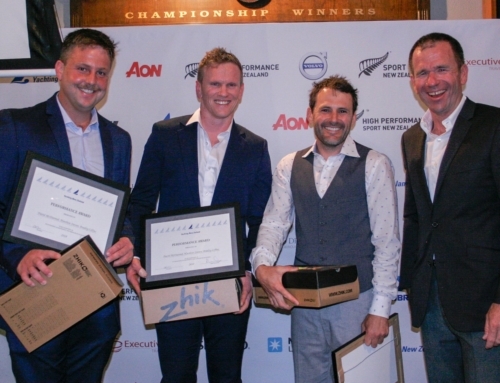 The 2013 Kiwi Cup and Access Class National Championships were nicely rounded off on Sunday 27th January with prize giving at 6:30pm, and then a commemorative dinner to celebrate Sailability Auckland’s 20th anniversary.